Hello Girls and possibly guys reading this! Hope you are all okay and are having a lovely week so far! Around a week ago I went to Westfield's with my best friend, Jane. For those of you who don't know what Westfield's is, it's basically a huge shopping centre/mall in Shepard's Bush in London. We decided to go there purely for something to eat and to window shop, however I spotted a new addition in the centre. Victoria Secret Pink. I originally didn't go in intending to buy anything. I just wanted to browse to see what they had in the store. However I did spot a few things that were on offer and as you know my obsession with skincare, I just had to purchase a few things as I've seen them mentioned in Meghan Rhienks' videos and a few other american youtubers videos as well. I noticed that Victoria Secret Pink were doing a 2 for £18 offer or 3 for £25 offer which I thought considering the price of the products individually was actually pretty good. Keep reading to find out my verdict on the products so far! So after about 20 minutes deciding what scent to go for I decided on the 'Wild At Heart' scent. I just thought this smelt really nice, fresh, girly and perfect for the spring and summer months. I bought the body mist purely because they are a must for me in the spring/summer months. This body mist mainly contains notes of red passion fruit and sheer musk which I absolutely love. I find that the two combined are amazing and not too overpowering. The mist also contains aloe vera which makes it slightly beneficial for the skin too. I absolutely love it. It will be a perfect summer staple in a beach bag or even if your hand bag if you're going out for the day and need to freshen up throughout. Individually this would have cost me £15.00. For the past 4/5 months my bathroom has not been without a scrub. Before I bought this one I was using the Glazed Apple one from the body shop, however I've been reaching for this more, particularly if I'm in a bit of a hurry or don't really want to spend too long in the bath. I absolutely love the fact that it's a 2 in 1 products, the two products being a body wash and scrub. Again this smells very similar to the body mist. This product contains Vitamin E and C which can be found in a lot of my favourite skincare products so I was already expecting big things when I saw that and I haven't been disappointed. It just leaves my skin feeling really soft and smooth whilst also giving it a really thorough cleanse. The original price of this scrub was also £15.00. The final thing I decided on because by this point my friend was getting a tad bit fed up with me was a body lotion. Now I have enough body lotions to last me until I'm 60 odd however I just loved the chunky look of this one and the packaging and it just looked really pretty basically. Hey don't judge. When it comes to pink and pretty packaging I am a definitely sucker for them. I do love the overall product too though. I find the lotion definitely smells a lot stronger than the scrub and body mist but in a way I really like that. I'm one of those people who'll moisturise and then go downstairs and ask everyone to sniff me. (Don't lie and tell me you haven't done that at least once!). Because of the packaging I just think that this will last me a pretty long time! The original price of this was £13.00. So there we have it! 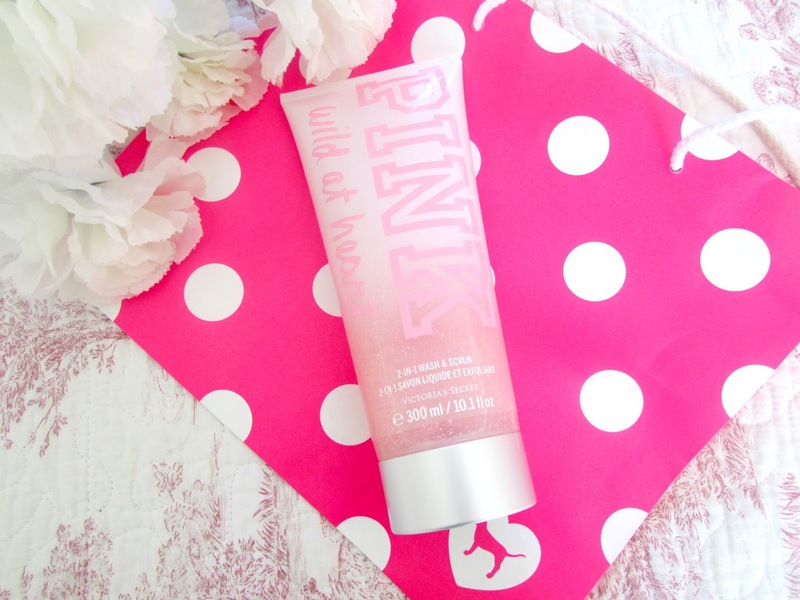 A mini victoria secret pink haul for you all! As you can see if I had gone on three seperate occasions to buy everything here it would have cost me a grand total of £43 which meant I saved £18. Not bad at all. I can't remember if this offer is on permanently or if it was just a special offer that they were doing. Either way it's definitely something I'd recommend taking advantage of. They have so many different scents but for the spring and summer months I definitely think this is the best! 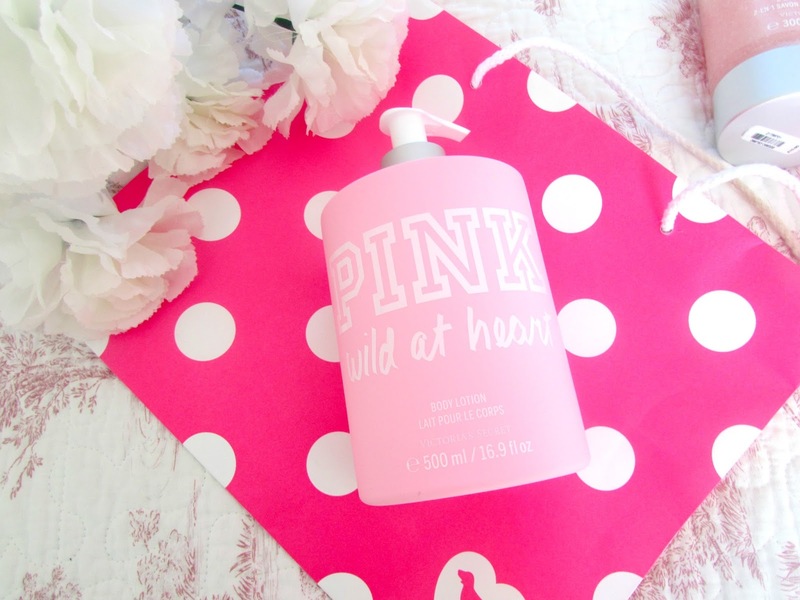 Are you a fan of Victoria Secret Pink? What products/items have you bought from them previously? I love VS products, I have so many but I always pick them up in the sales. They go down to like £2!! VSPink has been one of my favorite stores this and last year for summer, I can't go in there and come out with nothing, it's impossible. I've been eyeing the 'wild at heart' collection because of that same offer for weeks now, After reading this I might just have to bight the bullet and get some! Great post!